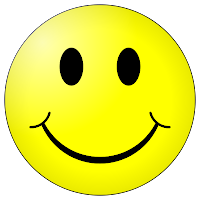 We're all familiar with the word simcha שמחה - "joy" (and hopefully with the concept as well!). This noun is based on the verb שמח - in the kal form samach - "was happy" and in the piel form simeach - "made happy" (the hifil השמיח appears once, in Tehilim 89:43, but isn't used in Modern Hebrew). The noun is formed by adding a heh - similar to other feelings such as ahava אהבה - "love", yirah יראה - "fear" and chemda חמדה - "desire". In addition to joy in general, in Talmudic Hebrew it began to refer to a joyous occasion as well. There is also the adjective sameach שמח - "glad", although Avineri (Yad Halashon 601) points out that it is appropriate to say that person is sameach, but to say that an event was sameach is a Yiddishism (better to say there was simcha there). Klein writes that the root שמח is related to the Ugaritic shmh - "to be glad, rejoice", the Arabic shamaha - "was high, was proud" and the Akkadian shamahu (samahu) - "to sprout, flourish". It is therefore related to the root tzamach צמח - "to sprout, spring up, grow", and so is similar to the English word "elated" (meaning both "happy" and "lifted up"). אוֹר-צַדִּיקִים יִשְׂמָח; וְנֵר רְשָׁעִים יִדְעָךְ. "The light of the righteous rejoices; but the lamp of the wicked shall be put out." Translating yismach as "rejoices" is common - but it doesn't make much sense. How does can light be happy? And if it meant to say the light will make (others) happy, then it should have been yisameach, not yismach. Kil, in the Daat Mikra commentary, says that yismach here means "will grow" and is therefore close in meaning to יצמח - "will spring up". He quotes Ibn Janach as saying the root שמח means "increase", and the Meiri on this verse as saying "it will increase every day". Jonas Greenfield in his book Al Kanfei Yonah: Collected Studies of Jonas C. Greenfield on Semitic Philology develops this idea further. He writes that another meaning of שמח can be "to shine" (like the English "to brighten" means "to make happy"), as in the Syriac צמח (Klein also mentions the Mandiac ציהמא). This can explain a number of very familiar verses, such as יִרְאוּ יְשָׁרִים וְיִשְׂמָחוּ - "the upright will see and be radiant" (Tehilim 107:42) and אוֹר, זָרֻעַ לַצַּדִּיק; וּלְיִשְׁרֵי-לֵב שִׂמְחָה. - "Light is sown for the righteous, radiance for the upright" (Tehilim 97:11, New JPS translation, apparently influenced by this approach. They follow this approach in our verse above in Mishlei as well, and translate it as "the light of the righteous is radiant". ). From the point of view of Hebrew alone one must say that a phonic distinction based on meaning has taken place within the root complex צמח - שמח. Etymologically - considering Arabic shamaha and Akkadian samahu - the ש (sin) is primary. While שמח now bears the meaning "to be high, to glow, to rejoice," צמח has been differentiated and means primarily "to grow.". In Aramaic where שמח has disappeared entirely, צמח has variously assumed both "to grow" and "to glow". He also points out that the root נצץ can mean both "to blossom" and "to sparkle", and the Hebrew and Aramic זהר means "to shine", but in Aramaic it also means "to grow" and in Arabic "to blossom". While Greenfield doesn't mention it, I am inclined to assume there's a connection understood between simcha as "joy, happiness" and as "light, radiance" (perhaps even a play on words) in the verses in Esther (8:15-16) - וְהָעִיר שׁוּשָׁן, צָהֲלָה וְשָׂמֵחָה. לַיְּהוּדִים, הָיְתָה אוֹרָה וְשִׂמְחָה, וְשָׂשֹׂן, וִיקָר - "The city of Shushan rejoiced (tzahala) and was glad (samecha). The Jews enjoyed light (ora) and gladness (simcha), happiness and honor". The root צהל also can mean "to shine" as well as "to rejoice". We previously discussed blo בלו, a tax first mentioned in the book of Ezra. 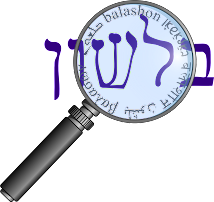 Blo is mentioned together with two other taxes that are not used in modern Hebrew: minda מנדה and halach הלך. The three terms are discussed in Bava Batra 8a, and halach is identified as arnona ארנונא. Arnona (as ארנונה) is certainly familiar to Israelis today - it's municipal tax determined by the size of the property. However, in Talmudic times it was an agricultural tax (originally on grain, then extended to land, cattle, and clothing). Then, as now, it was not particularly loved, and this can be sensed in the etymology as well. We've mentioned before that although the Jews of the Talmudic period (in the Land of Israel) were under Roman rule, almost all the foreign words in Talmudic Hebrew were from Greek. The exceptions are almost always related to the military. Arnona is an adaptation of the Latin annona (the Hebrew equivalent אנונא or אנונה is found in Midrash Rabbah), meaning "yearly produce", from annus, "year" (as in the word "annual"). Steinsaltz comments that troops passing through an area would collect food as part of the arnona tax, and this is perhaps a connection to the Biblical halach ("walking"). A question I've been asked in the past is, "Why is the Jerusalem neighborhood Arnona called that? Why would they name a neighborhood after a tax?" Well, there are two theories about the origin of the name - neither of which is connected to the tax. One is that it is named for the Arnon river in Jordan, which empties into the Dead Sea, which is visible from the neighborhood. The other theory is that it was named for the the daughter of the scholar Ben-Zion Luria, Arnona, who was herself named for the river. The river, Nachal Arnon נחל ארנון - is mentioned a number of times in the Tanach, and some say gets its name from its noisy nature (the root רנן means to be loud, either in joy or in complaint).